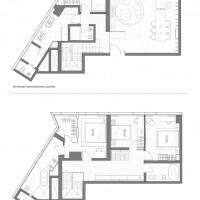 PplusP Designers have designed the 38/F-39/F Mandarin Oriental Apartments in Macau. 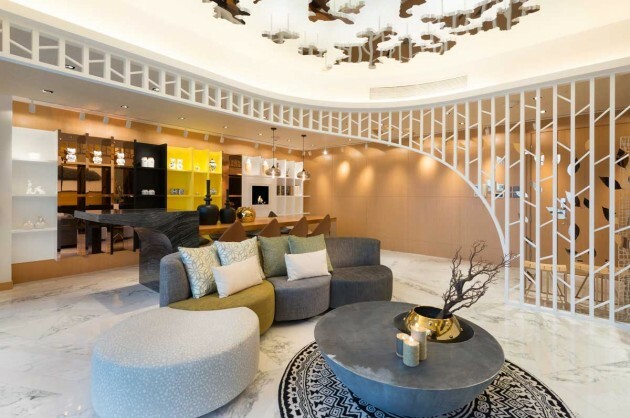 The principle concept established for this project at the Mandarin Oriental in Macau, is to embody tranquility at its essence through capturing the elements of nature. The Tree is symbolic of being protective, sheltering and being able to nurture life-giving energy. The idea is to allow its occupants to enter a nature-inspired living space, where they could feel relaxed and safe within the comfort of their own home. Walking through the entrance door reveals a welcoming feeling of freshness with leaves are blowing and swaying towards the ceiling. 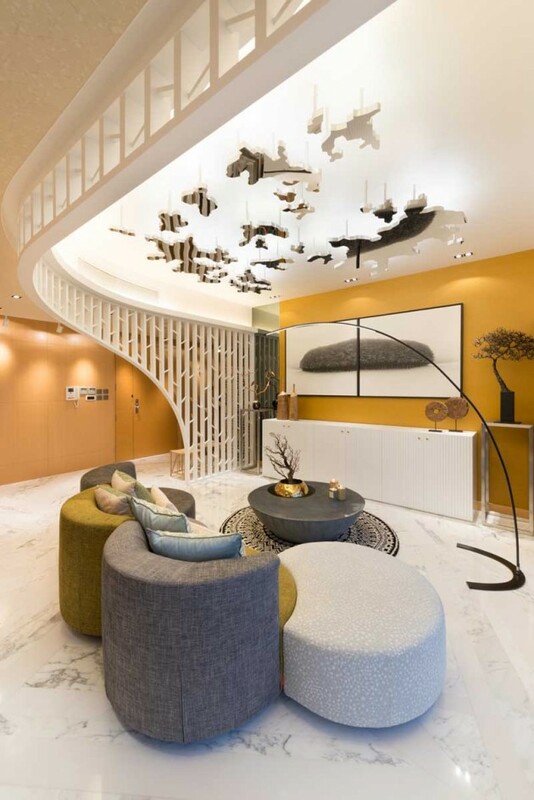 Abstract tree branches encircle the living area are accentuated by the autumn leaves which project along the curved decorative feature. 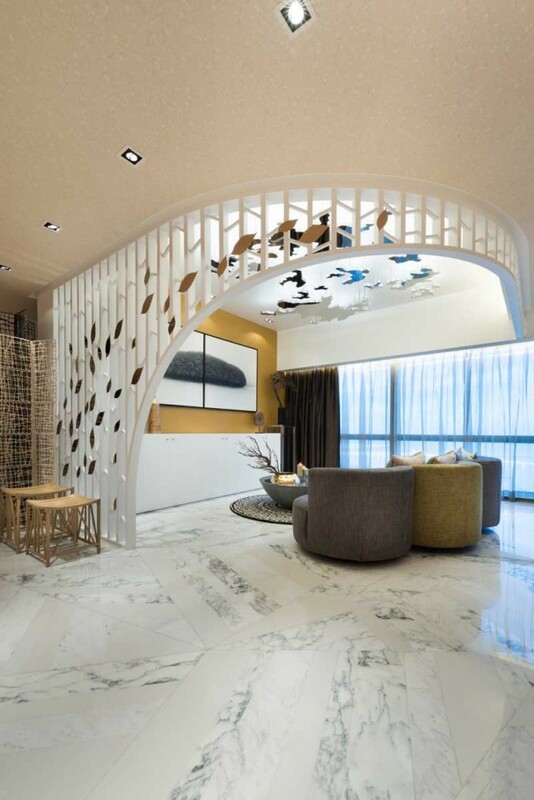 This curved feature along with the reflective ceiling feature recreates an experience akin to laying under a tree with reveals of light breaking though the tree canopy. 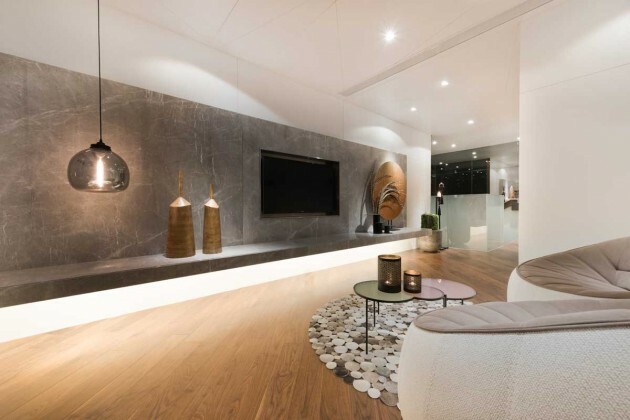 Earthy tones and choice of natural materials enhances the natural feeling within the space. The dining room reciprocates the natural style of the living room with added elegance. 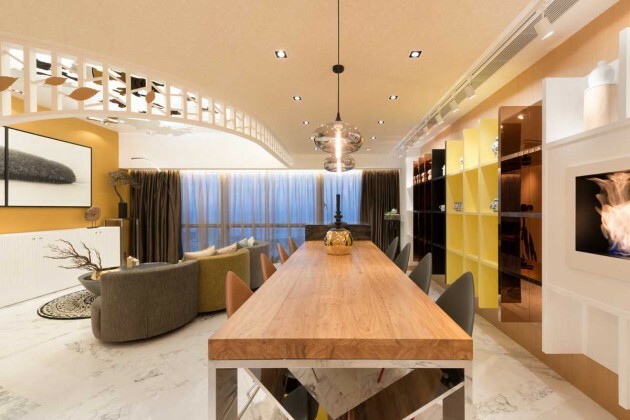 The long wooden dining table, capable of accommodating a large number of guests, directly joins into the polished marble structure with a concealed television which is available for viewing when hosting. Alongside is a fireplace installed on the wall, highlighting the contrasting material of the shelving. The stair features draws you in to continue the story as it unfolds towards the second floor. 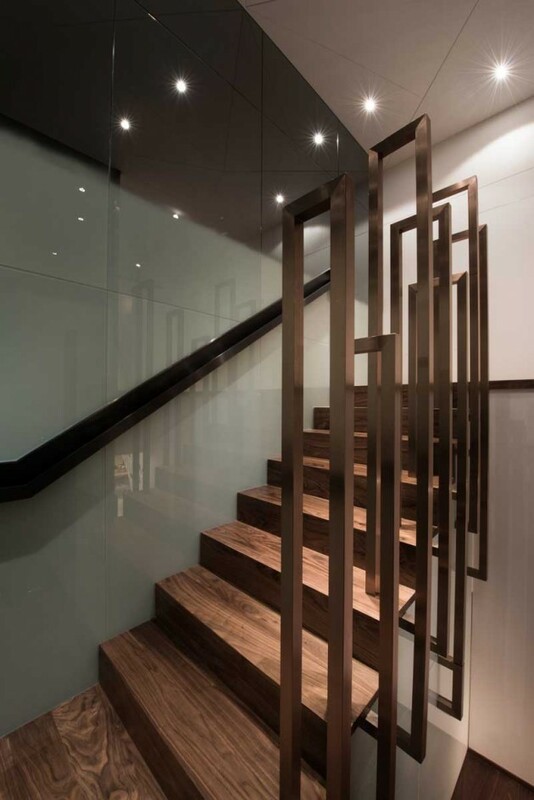 The rose gold finish brings life to the staircase. 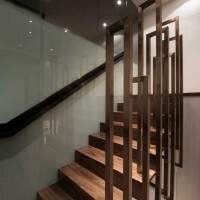 The handrail enhances the contemporary feel by implementing the elongated shape of tree stems. 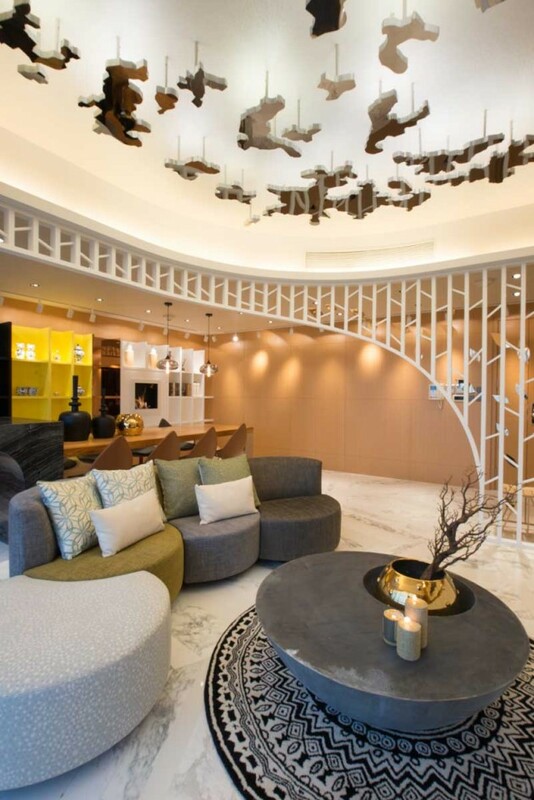 Adjacent to the living room, the ceiling of the second floor is designed with the pattern of abstract tree branches. The wall hung grey marble TV wall extends along the corridor wall; the corridor opens up to a cozy corner for enjoying your favourite beverage. Contrasting with the material used on the wall, the warm wooden flooring covered with a stone shape rug captures the essence of nature. 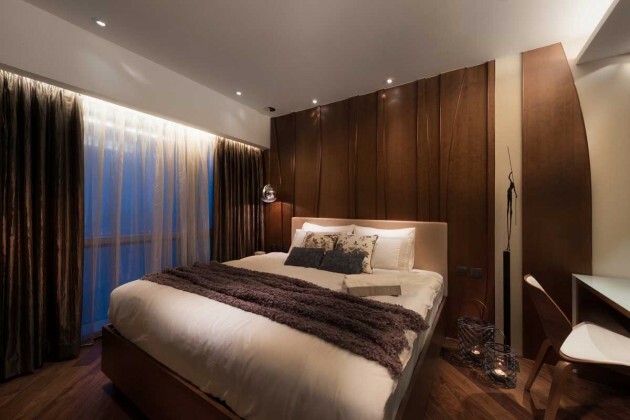 The master bedroom has been purposely designed in a deep brown color with a back wall feature designed to simulate tree trunks layered upon one another. 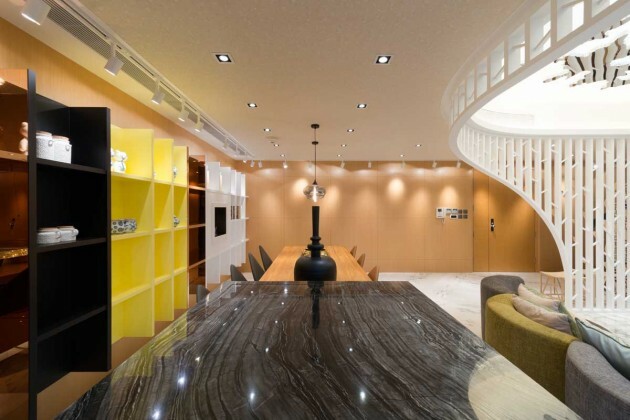 As well as looking natural, the choice of colours and materials offers a sense of luxury in this area. Concealed behind the grey and white marble finished wall, the bedrooms has been designed to the same extent as the master bedroom. 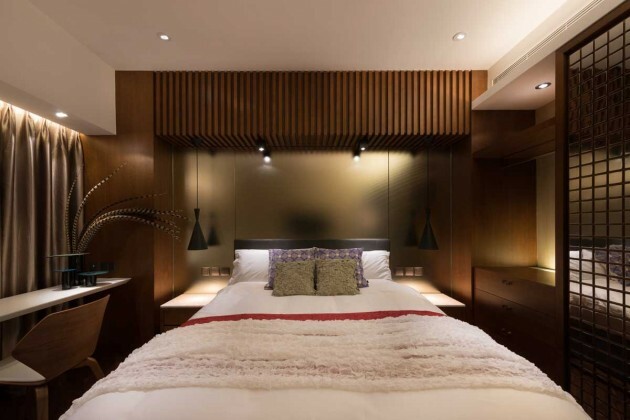 The bed is framed by unique bed side cabinet features in a copper finish, whilst the lighting creates the illusion of light simmering through a tree canopy. The bedroom wall and wardrobe are covered with glass to visually enlarge the space and the geometric carpet adds texture and colour, giving a playful touch to the glamorous room.